Since an invoice is your bill for services or products sold, you need to keep one around for company record. And after creating an invoice, you send it over to receive payment and keep track of transactions from customers. The invoice is an extremely important part of any business transaction and has many uses to keep the company going strong. So whether you tend to create invoice online or in an app, this tutorial will help you consider the importance of selected parts of an invoice. 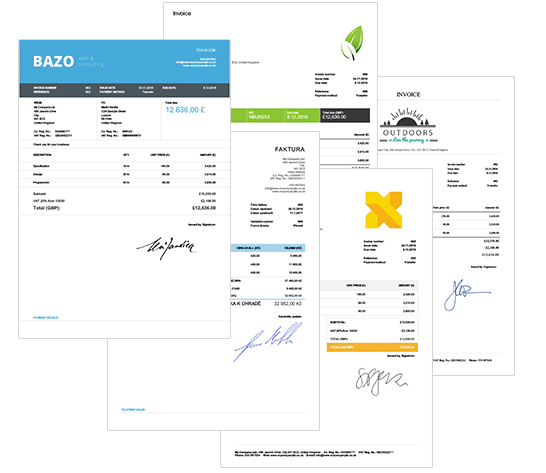 An invoice maker does a lot of the hard work for you and allows you to create templates with plenty of easily customizable fields to work with. An invoice maker not only makes things simpler, it speeds up the process, optimizing company time. And thanks to it, you can rest assured all important parts of an invoice will be correctly filled in. Not everyone thinks the same way as everyone else, so don’t think that adding a distinct header to company documents is common sense. Label the invoice in clear text somewhere at the top, naming exactly what the document is. This will save you a big headache and the confusion over what all these random papers flying around your office are. Include a logo in your header and make it look as professional and presentable as possible. Every invoice should come with its own invoice number (or some other unique identifier) to separate it from the rest in the stack. It could be a filing code, a unique chronological number, or some kind of data-based purchase order number. If you’re sending the invoice requesting payment, then you should make sure the organization doesn’t require any unique company details. This could be purchase order numbers or maybe specific billing codes. A unique identifier makes all the difference in the world, especially when it comes to receiving timely compensation. Near the top of the invoice, you should include the legal name, address, phone number and fax number (if applicable). This helps to differentiate who is paying and who is receiving payment (on top of keeping things really simple and clear). If there are any issues along the way, any customers with an invoice can call a company number or send over information if needed. Make sure all your information is printed accurately and is in a place that is easily seen. One of the most important pieces of information you can include is the actual date of the transaction. This will help to simplify the process of cataloging when products were sold or services were rendered. It also helps out if there is ever confusion over when something was sold. Say there was an issue with the shipping of a product: without the actual date of the transaction, how will anyone figure out where the post office went wrong? There are bound to be other details about the product you might want to include. Keep them here in your “sold” section to keep things from getting confusing. Going along with the products and services sold, you’ll probably want to include the price of any taxes or fees associated with the item. You might need to apply the rates or taxes in a different budget or record on the filing end. The biggest takeaway here is to include any extra taxes or fees very near the price of the product or service. That way you can tack it all together in the “total amount due” field. This one’s probably the most obvious on the list. Yes, you need to include the total amount due in the transaction on your invoice. Not only will this settle the amount, it also serves as a good reference point for you and the customer. Inevitably, the transaction will include some important verbiage in the transaction terms. They do not form a compulsory part of a formal invoice, however, to make the terms more apparent, it’s a good idea to include them on the invoice so that customers can easily reflect back on them. The terms may include penalties for paying late or not paying in full. There could be additional percentages of the bill due at certain later times. Whatever your company’s terms, try to include as much of them as you can on each invoice. Set yourself apart with a designated spot for personalized messages. This can be used to say “thank you” to a client or make reference to something unique to the project. Think about when you send a gift or flowers from an online order; there’s usually a place to include a special message to your loved one. Make all your customers feel like loved ones with personalized messages right on the invoice! The due date should absolutely appear on the invoice and might be the most important item on this list (along with the product description and total amount). The due date will help keep the process and invoice history organized. When laying out an invoice in your invoice maker, make sure to include these essential ten items for an effective document. There’s a lot of responsibility balancing on the invoice pages, so they should be as thorough as possible. Looking for other beneficial tips for small businesses or professional invoicing? 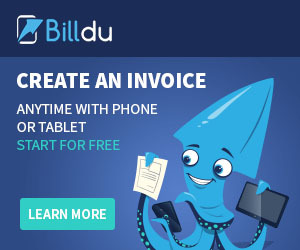 Check out the Billdu blog for all things helpful for small businesses! Did we miss anything in our list of invoice items? Let us know about it in the comments below!